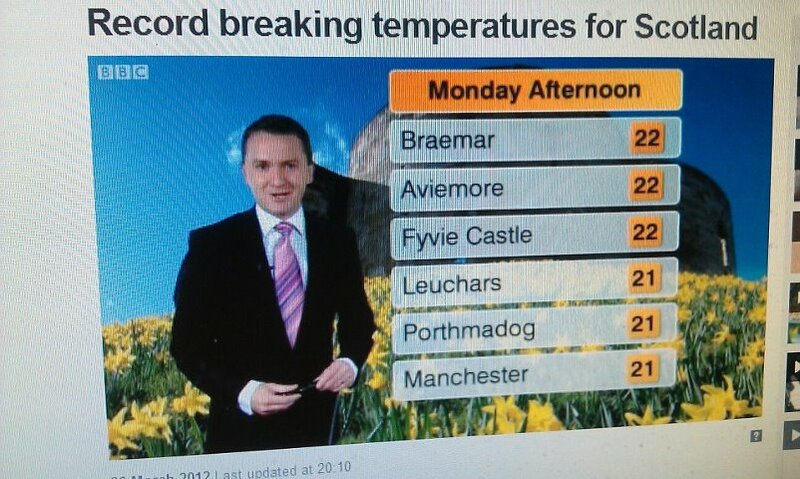 >In Dedication To Ken Reeves, Scotland Sets New Record Following Yesterday’s 22.8C! 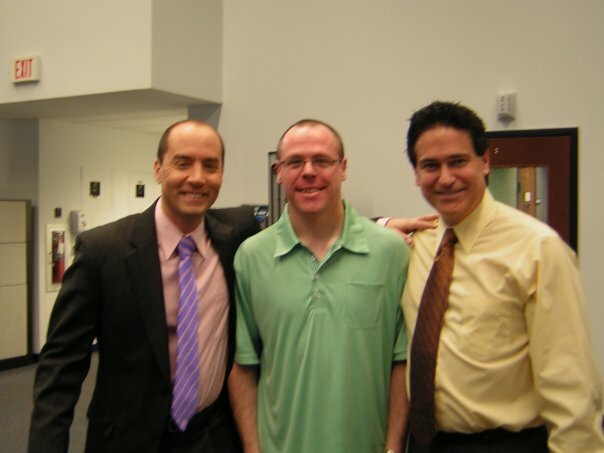 This picture was taken of myself, Bernie Rayno and Ken Reeves in January 2009 when I had the honor of touring AccuWeather Inc in State College, Pennsylvania. I have followed Ken for upwards of 15 years and he was a great inspiration in my passion for weather. God bless those hurting today and may Ken rest in peace. Aboyne, Aberdeenshire Tops 22.9C, Beating Yesterday’s New March Record! 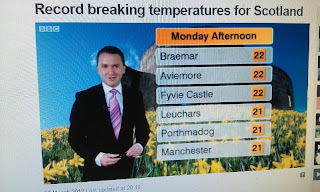 Yesterday saw a new March record for Scotland with a top reading of 22.8C recorded at Fyvie Castle, then today, Aboyne also in Abereenshire set a new record with 22.9C. Multiple record high’s for March were set throughout the North yesterday while today not only did Northern areas set records again but it was a record breaking warm day for Central & Southern areas of Scotland too. 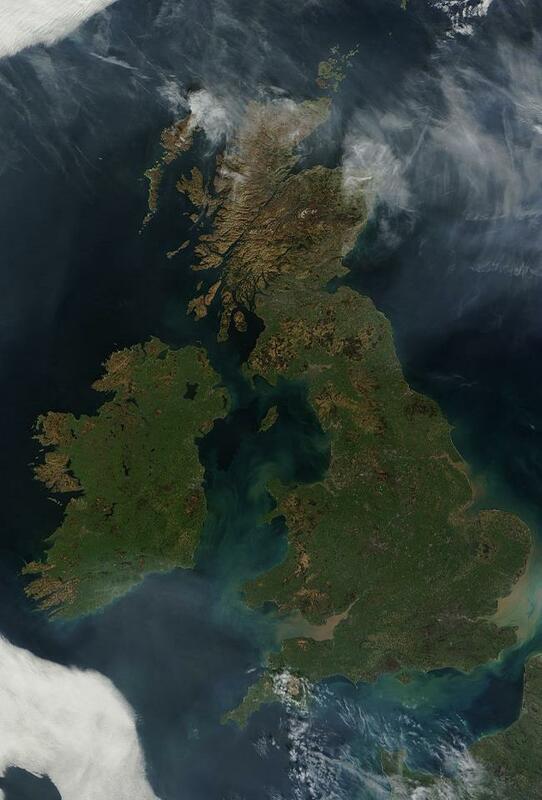 The skies were practically void of clouds over the entire UK and Ireland today thanks to a large and strong dome of high pressure. This system has been building northwards from Iberia throughout the weekend and has been responsible in sending temperatures beyond anything ever witnssed during the month of March. A month which can still bring snowfall and sub-freezing weather. The exceptions have been North Sea coastal areas. Temperatures have been generally above normal now throughout much of Western Europe now for months thanks to persistent and stronger than normal high pressure. I blame the ongoing and worsening drought situation which extrends from Spain all the way to Central England. 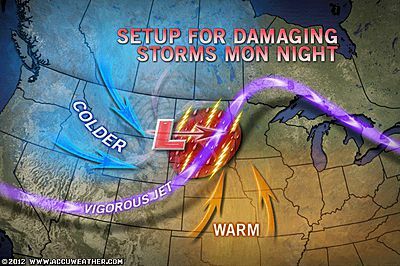 The feedback between drier than normal soils and high pressure often join forces to bring warmer than normal weather. When looking way back over the past two winters, they have been colder than normal throughout the UK and Ireland, however they have been a lot drier due to a blocked pattern. The lack of winter rains I believe has having significant impacts now, some 18 months on and this may lead to more warmth and a lack of rain as we progress through spring. If we don’t see much rain through April and May, I expect a long, warm and dry summer with increasing potential for a significant heat wave sometime in June or July. Things can change, afterall, we do live in the UK & Ireland. 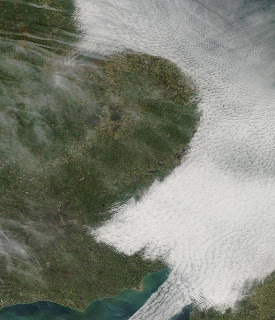 Here’s the cloud hugging England’s eastern coasts yesterday, creeping a little way inland. Note north Kent where the cloud edge stops at about the North Downs. 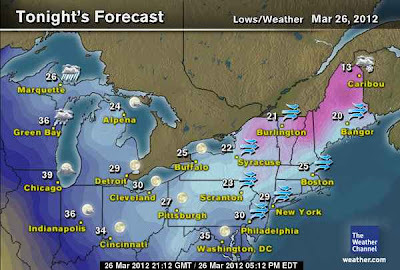 Elsewhere in this picture it was sunny with just some thin high cirrus moving across. 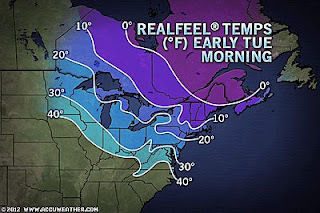 Cold Night In Store For Northeast, Cover Up Those Tender Plants!